The soundtrack to Keep the Lights On included many beautiful tracks by Arthur Russell, a musician whom I had previously no knowledge of. 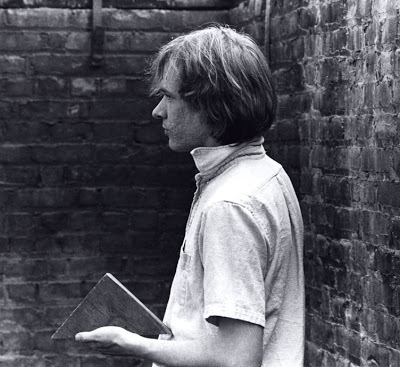 Wild Combination: A Portrait of Arthur Russell directed by Matt Wolf went some way to rectify this, it being a thoughtful documentary portrait that gives plenty of weight to what kind of person Arthur Russell was, as well as the particularity of his ‘genius’. Interviews with Russell’s parents, colleagues, friends – such as Allen Ginsberg – form a diversity of opinion on the late composer and musician but boyfriend Tom emerges as his tireless promoter, without whom Russell’s catalogue of recordings might never have been heard. The drawback to the far-reaching character analysis provided via contributions from friends and collaborators is that Russell’s music ends up being the one thing that doesn’t get enough attention. Performances are cut short and recordings given in snippets, so that the editing style is as frenetic and distracted as Russell’s demonstrable working method appears to be. It’s a shame really, as further insight from professional musicians and critics might have revealed more about the film’s subject than the testimonies of his contemporaries. The Impossible could aptly be described as a horror film, following director Juan Antonio Bayona’s The Orphanage – it’s a visceral depiction of a tsunami and its impact on the fragile human body. Watching it I realised I had never actually thought about the sheer force of water, and after I couldn’t help but recall such shallow, romantic depictions of glorious death by tsunami such as Tea Leoni and Maximilian Schell standing on the beach in Deep Impact (1998). The family at the heart of the film are perfunctorily bland – if a little idealised as headed by Ewan McGregor and Naomi Watts – but its clear from the screen time given to the physical ordeals of each member that how the experience affects them, rather than who they were before that’s what really matters. The performances are remarkable throughout; particularly that of Watts and Tom Holland – who plays eldest son Lucas – in the early scenes as they fight to survive whilst being carried at great speed by the giant wave. Bayona used a combination of CGI and actual scale models and tanks with gallons of water to create the wave, out of a desire for authenticity. With this in mind, the physical endurance of the actors seems all the more impressive and the result is immersive – a truly cinematic rendering of pure destruction, and one that is often hard to watch. 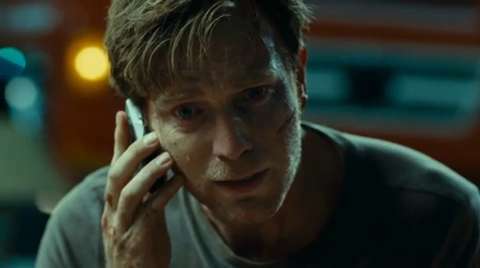 McGregor also impresses as determined father, Henry, providing one of the most heartbreaking phone call scenes I’ve ever seen, beautifully simple in its delivery of a desperate message. Though The Impossible isn’t a film one would rush to see again, the horror is suitably rewarded through the melodrama of the family’s reunion and the chill of what their lives will become as a result of surviving. Impressed as I was by Naomi Watts I decided that seeing another of her performances would also provide an excuse (as if I needed it) to finally kick-start catching up with Cronenberg – a director who’s films I haven’t seen enough of. Eastern Promises (2007) is a London set tale of a Russian mob family who unexpectedly pique the interest of nurse, Anna (Watts) when she finds a diary belonging to a teenage Russian girl who dies on her ward during childbirth. Investigating the origins of the girl and a potential family for the baby leads down a dark path towards terribly violent, fiercely loyal and protective criminals. Anna’s interest in the welfare of the child is explained by a hinted at back-story involving a miscarried child, but once established, the complexities of her motivations are underplayed to make room for the more showy role – that of Viggo Mortensen as ‘driver’ Nikolai. Cronenberg’s oft-discussed fascination with the invasion of the body through violent acts is given a memorable treatment in a standout scene involving a naked Mortensen and some standard thugs. Mortensen’s body – his skin decorated with symbolic tattoos; is exposed and vulnerable as he gains more bloody markings fighting for his life. Having only previously seen The Fly, eXitenZ and parts of Rabid, Eastern Promises seemed less hysterical, but no less unnerving and has certainly inspired me to continue with my catch up. Its awards season, so aside from The Impossible, I was interested to seek out other nominated/winning films and not wanting to fight the crowds for Les Misérables this weekend I opted for Joe Wright’s BAFTA nominated Anna Karenina, in the running for the Outstanding British Film award alongside Skyfall, the aforementioned musical adaptation, Best Exotic Marigold Hotel and Seven Psychopaths. Wright’s adaptation of the classic Tolstoy novel imagines Russian society and its self scrutiny as grand theatre in which the staging moves around the actors, rhythmically creating an atmosphere of high drama played out for its own (and the audiences) entertainment. Once this device is established however, it soon becomes tiresome, not to mention dizzying as the attempt is made to find inventive ways to maintain the aesthetic. Keira Knightly, as Anna is excellent however, demonstrating graceful and engaging emotion that lifts the film out of its theatrical confines. Domhall Gleeson as Levin is also hugely sympathetic – his subplot regarding the guilt of privilege and the anxiety of resolving one’s political and romantic ideologies is perhaps the best thing in the film. His Girl Friday, Howard Hawks. Coming up, Les Misérables, Django Unchained and a continuing catch up with Cronenberg – now won’t that be exciting?! Thanks for that interesting insight, I certainly will put it on my ‘to read’ list! Do you think so? I’m afraid I’m a little Tolstoy ignorant. Though Levin emerges as the most interesting character – the film itself has so much unnecessary flourish it would be hard to assume that Tolstoy would approve of it as a whole. At lease I am now inspired to get on and read some Tolstoy!